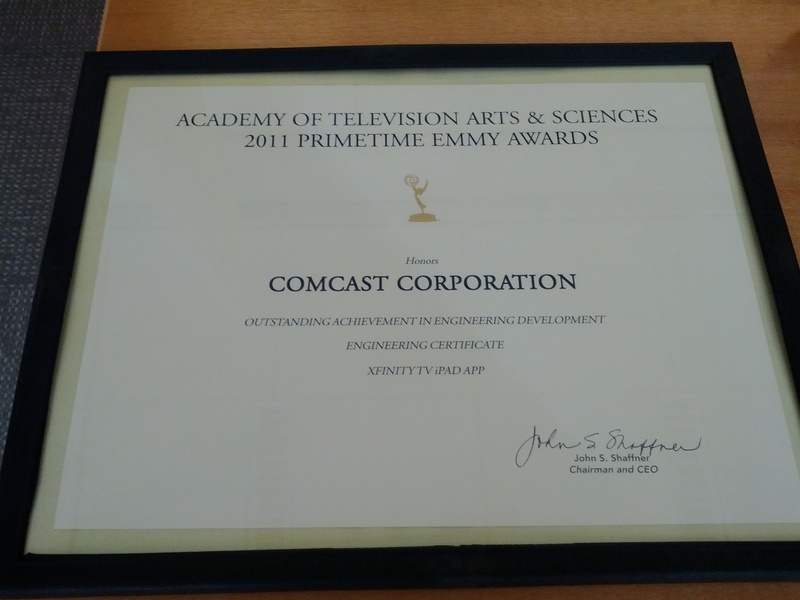 Rather Comcast’s Emmy for “Outstanding Achievement in Engineering Development” for the iPad app I worked on for most of 2010. This one is my copy of it that now adorns the top shelf in my office. Bonus points for being one of the first 3 engineers on the project!